Just over a block to the ocean with private pool, hot tub, volleyball court and pirate ship playhouse. Awarded "Top Vacation Rental" award by FlipKey / TripAdvisor. Treat yourselves to an impressive and beautifully landscaped 7 bedroom home with Horizon Ocean Views with a short 1.5 block walk to the beach. 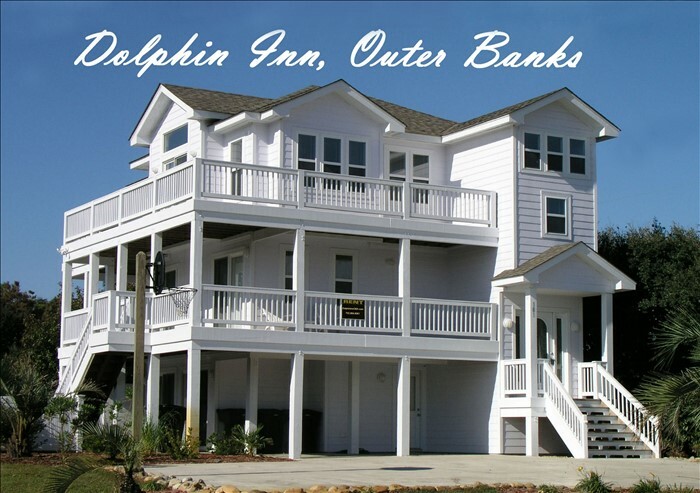 The Dolphin Inn, featured in Money magazine, was recognized for its quintessential beach atmosphere. 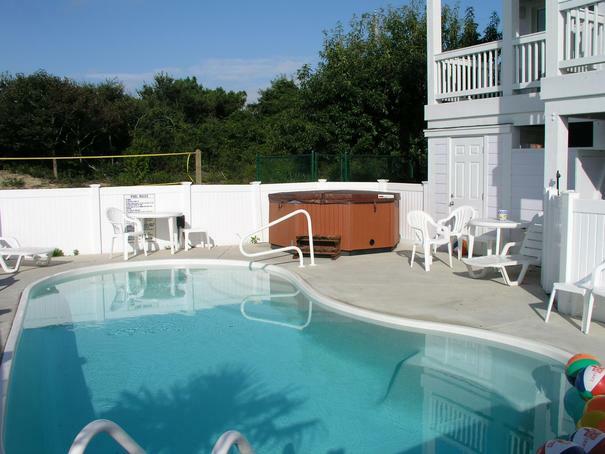 The Dolphin Inn is pet friendly and has a Fenced-In Dog Kennel Area under Live Oak Tree. The first floor has three bedrooms and a Game Room. The second floor has three Sunny Master Bedrooms with private entrances to the wrap-around deck. The third floor, with its horizon ocean view, is the place to gather for meals at a table that seats a crowd, or for quick meals at the counter. The generously appointed kitchen overlooks the welcoming great room with games, 600+ DVD movies, a gas Fireplace, and a Large Screen Television with an abundant selection of Movie Channels (HBO, Showtime, Cinemax), a Tivo/DVR, free movies through NetFlix and free DVD rentals at a local video store. The top floor also boasts a King Bedroom with a Private Bathroom and Jacuzzi Tub.